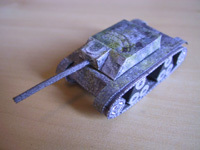 German tank used in World War Two (WW2). It was my first model designed for internet download. See also Armored Toop Carrier - URUTU.